Clothing - Our 3 Favourite Tax Tips To Stay Safe! Clothing – Our 3 Favourite Tax Tips To Stay Safe And Look Good! The provision of protective clothing and uniforms is an important part of the safety, operational efficiency and brand identity of many businesses in today's work environment. These expenses from a tax point of view have (according to the courts) an intrinsic personal element that must be considered either for proprietors of unincorporated businesses or directors and employees of limited companies. For unincorporated businesses, these types of expenses like clothing need to show that they have been incurred wholly and exclusively for the purposes of the business, otherwise it will not be deductible for tax. For directors and employees of a company, this cost may give rise to a benefit in kind that has to be dealt with. What are the tax tips to consider when buying clothes for your business. Clothing - Our 3 Favourite Tax Tips To Stay Safe And Look Good! 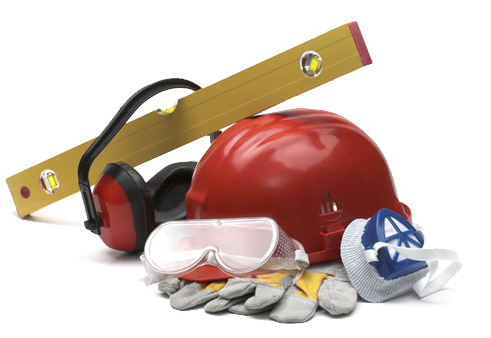 Protective clothing such as overalls or boots is the most notable example where the needs of the business are the predominant requirement for the expense, and a requirement of health and safety legislation. Proprietors of unincorporated businesses can receive a full tax deduction for these purchases. Directors and employees of a company strictly speaking will have a benefit, but are then allowed an equal expense deduction, leaving no overall benefit to them, and the company is able to claim a deduction for tax against its profits. When a trade or business requires a uniform (or akin to a costume) to be worn, the cost will be fully deductible for the business. Many businesses increasingly require their staff to dress in a common style to reflect their corporate brand. Unless it is a uniform, the cost will not be be allowable for a proprietor of an unincorporated business. It is allowable for employers but gives rise to potential benefits-in-kind. To be considered a uniform, conspicuous badges or logos must be clearly visible on the clothing and not removable. It this criteria can be satisfied, then the cost or benefit of the uniform will be deductible as a business or employment expense. Where the cost or benefit of any clothing are allowable as a uniform or costume, then any reasonable costs of maintaining them (including laundry costs) will also be allowable for tax purposes. This applies also to protective clothing, where keeping them clean is an important part of the safety environment. For directors and employees, the Taxman publishes allowable rates for annual expenditure on maintaining your protective clothing or your uniforms ranging from £60 to £140 per annum depending on the industry the business operates in. For proprietors, it should be possible to agree a reasonable annual deduction with the Taxman. Note - one subject we often get asked about is whether business suits can be a legitimate deduction. Many people argue that they would normally only wear a suit for business purposes, and therefore should be treated as a uniform. However, a business suit has a duality of purpose, and simply that wearing one provides warmth and decency does not pass the text with the taxman. A hard hat protects its wearers from injury, a business suit does not! Staying safe and making sure your people look smart portraying the brand identity of your business is something every business needs to ensure on a day-to-day basis. The Taxman wants you to be safe by wearing the right clothes and equipment, and they are happy for you to have a smartly maintained corporate image. There are a few simple rules to consider when incurring the expense to keep the Taxman happy. If in doubt ask your Accountant for his advice on what clothing costs will be allowed as a tax deduction or fully deductible as an employment expense. If you are emboldened to make a safety or corporate clothing purchase, we recommend you contact Paul from Stafford Industrial Supplies for all businesses here in Staffordshire. If you know of any other great tax tips relating to clothing that can be shared with our readers then let us know via the comments or through LinkedIn. If you like this set of tax tips then please do share it across Twitter, Tumblr, Facebook, LinkedIn and Google+ – where you will find us active on each social media platform! Remember - Don’t Leave a TIP with the Taxman!